Lynsey is currently a full-time Advocate Depute, and Legal Member of the Housing Tribunal. 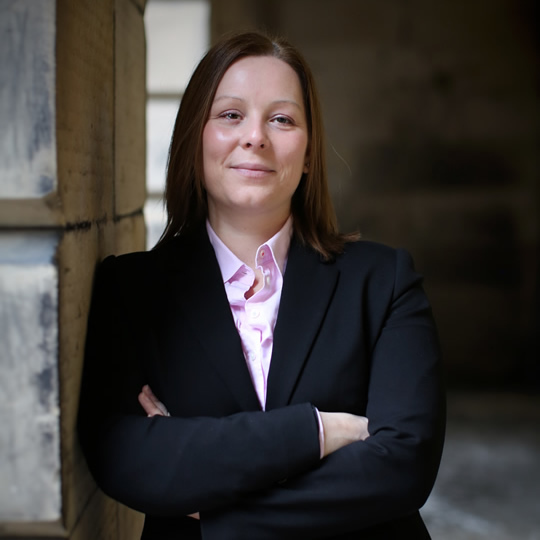 Lynsey has extensive experience of criminal court practice, and has dealt with a wide variety of solemn and summary first instance cases in both the High Court of Justiciary and the Sheriff Court. Since calling to the Bar in 2008, she has acted in many cases for the defence, both as junior alone and as junior with senior. Prior to calling to the Bar she was a Procurator Fiscal Depute for a number of years. Lynsey has a particular interest in Appeal Court work. As defence Counsel she dealt with conviction and sentence appeals, along with petitions to the nobile officium and referrals by the Scottish Criminal Cases Review Commission. Lynsey has also conducted many appeals for the Crown. Prior to accepting a full-time appointment as an Advocate Depute, Lynsey had a growing civil practice, consisting of employment law, immigration law, and Fatal Accident Inquiries. Lynsey also has experience of family law and medical negligence actions.